1. Bring in your vehicle for service – or purchase new accessories. 2. You’ll earn points on the amount you pay, and keep the points in your account active. 3. Apply your points and save on service, accessories, or a new Nissan! 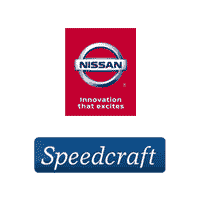 The Nissan One To One Rewards program card from Speedcraft Nissan costs you nothing! It is our way of rewarding our loyal consumers. WHAT IS NISSAN ONE TO ONE REWARDS? When you enroll in this program, Speedcraft Nissan will pre-load your One To One Rewards program card with sales and service points. Every time you have a transaction at our dealership you will earn a percentage of your purchase back on your card. You can use your purchase points to pay for your next visit to Speedcraft Nissan or let them accumulate. Rewards+Plus allows you to shop over 300 leading retailers online only where each purchase earns you bonus points that can only be used at Speedcraft Nissan. Earning more points for your next dealership visit is as easy as 1-2-3! 1. Log in to Nissan One to One Rewards. 2. Click on the Rewards+Plus button. 3. View all discounts and special offers and START SHOPPING! Your points will automatically post to your account 30-45 days from shipment of your online purchase. It really is that easy! Check the One to One Rewards program website regularly for exciting discounts and bonus point offers! One to One Rewards program members can easily view and track all retailer bonus points on the Transaction History page of the One to One Rewards program. The One To One Rewards program card is our way of saying thank you for being a loyal member of our Speedcraft Nissan family. We value your business! Note: One to One Rewards points or dollars cannot be redeemed for cash. The One to One Rewards program reserves the right to cancel or modify the program at any time. See dealer for full disclaimer on all programs and offers. Subject to change at any time.